I have recently started taking JuicePlus. I wasn't sure if this would be right for me, after all, why would I get nutrients from a pill that I can just as easily get from the real thing!! When it comes down to it though, I'm not eating enough fruits and vegetables, even though I could... if I wanted to. I am taking the Orchard and Garden Blend capsules. Juice Plus clearly caters to the time-saving convenience that excites most people, and the fact is, that right now in my life, I appreciate having a sound supplement that's packed full of good things for my body. In all reality, I can't even go into the grocery store and be confident that my non-organic produce is better or worse than the organic counterpart. With all the different information out there around different types of food, who's to say that one is better than the other? Is it worth the money to spend extra on organic? It's exhausting to say the least. 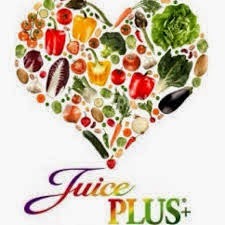 I'll be giving JuicePlus+ a 4 month trial, and be providing monthly updates on how it's going.